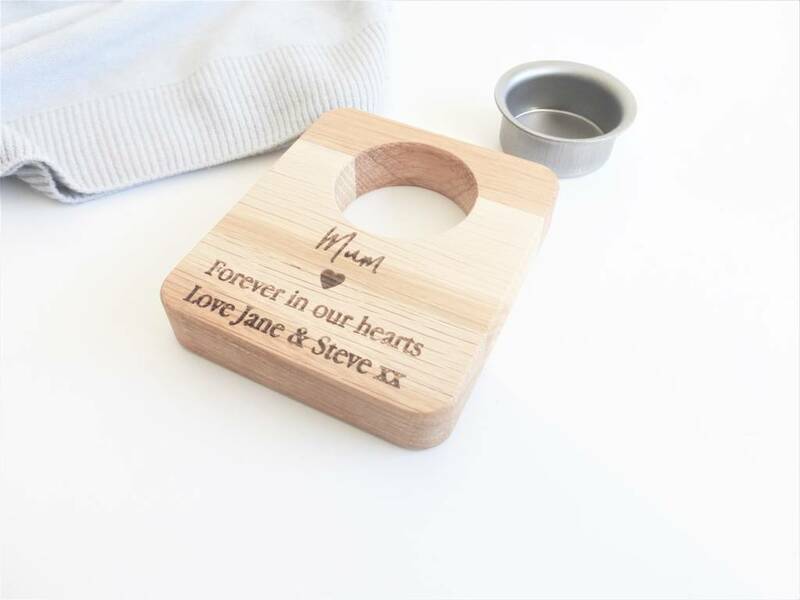 A personalised wooden memory candle holder. A wonderful gift to remember a special loved one or as a sympathy gift for a friend. Our personalised wooden memory candle holder makes a thoughtful remembrance gift. Each candle holder is made from solid oak in our New Forest workshop and can be personalised with your own message. A thoughtful gift to support a friend or relative or as a little reminder of someone special. 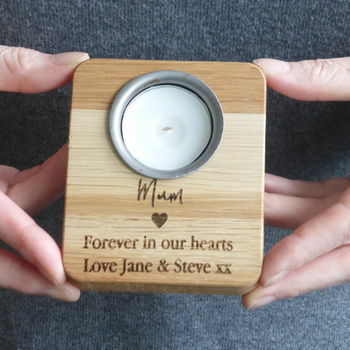 Personalised memory candle holders can be engraved with a special message of your choice. Each candle holder will come with a removeable metal candle holder. This fits loosly into the wooden holder. Due to the nature of the wood, small areas of raised grain, tiny knots, variations in colour and small imperfections may occur, making each personalised candle holder unique.